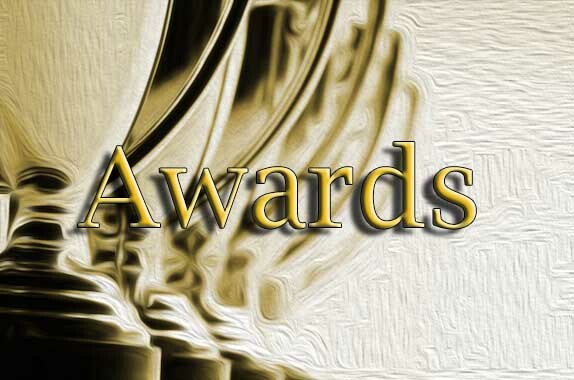 Posted by Sharon Slater | Jan 8, 2013 | People & Genealogy, Who was? 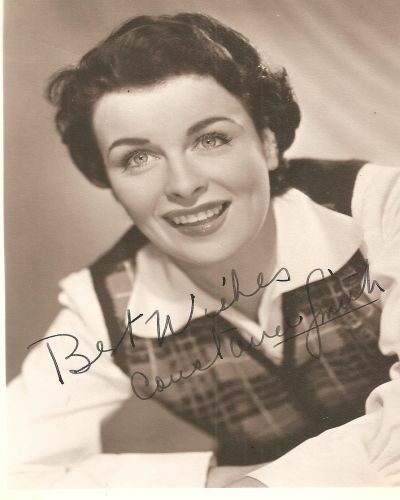 Strikingly attractive, but troubled Irish actress, Constance Smith, was born in 46 Wolfe Tone Street, Limerick on 7 February 1929. The eldest of 11 children (many of whom passed away in infancy), her father Sylvester Smith, a native of Dublin, was a foot soldier in the Irish Army. Constance believed that her father also worked on the Ardnacrusha Scheme during the 1920s but this is unlikely. 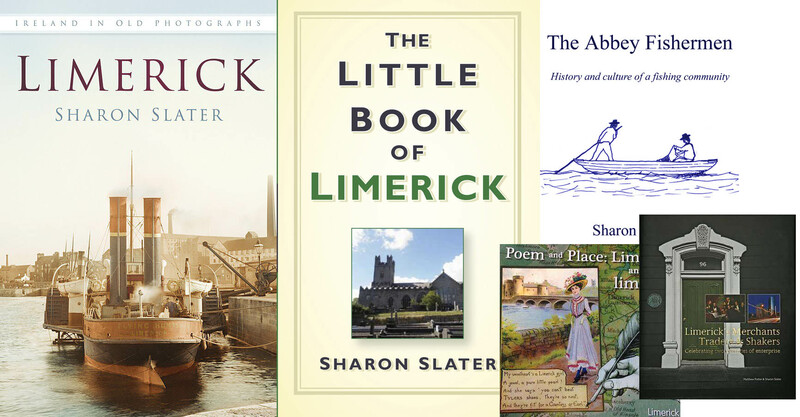 While her mother Mary Biggane was a Limerick native. When Constance was a small child she over with her parents and siblings to 37 Mount Pleasant Buildings, Ranelagh, Dublin. Constance attended a convent school. Her father , aged only 36, died in 1944 of tuberculous. Constance then had to leave school to help support her siblings. Her first break began with her winning a 1946 look-alike competition in a Dublin movie magazine, touting her as a dead ringer for Hedy Lamarr. Afterwards, her mother sent her photograph to a film studio. She was called for a screen test, which she was reluctant to take but continued under her mothers insistence. The screen test was successful with the Rank Organisation. In the process of being groomed by the Rank ‘charm school’, Constance first demonstrated her fiery temperament and unwillingness to tow the line. Her fiery temper soon resulted in her being let go from Ranks. She was first noticed by the big movie studios in 1950 after playing an Irish maid in The Mudlark. Impressed with her performance, 20th Century Fox offered her a contract. Upon her arrival in Hollywood, producer Darryl F. Zanuck cast her opposite Tyrone Power in I’ll Never Forget You (1951). However, Power soon decided she was not experienced enough and replaced her with Ann Blyth. 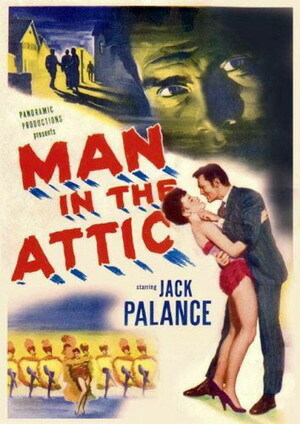 Constance was most active in the 1950s, appearing in Hollywood features such as Man in the Attic (1953). In addition to her movie roles, Constance also appeared as a presenter for the Academy Awards ceremony in 1952. 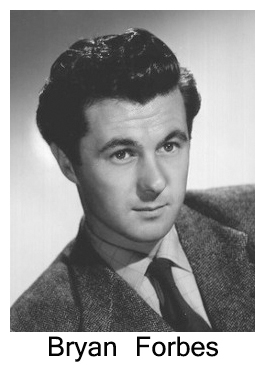 On 1 February 1951, Constance married Bryan Forbes, an English film director, actor and writer, whom she had known for three years. They married in Caxton Hall, London, when Forbes was 24 years old. The newly weds were never able to go on honeymoon as Forbes had to report immediately to his play, The Holly and the Ivy, and she to Tyrone Power for her film, The House in the Square. 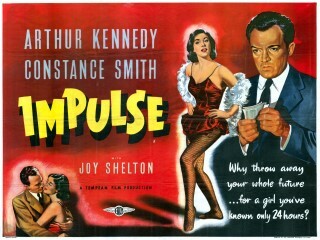 Constance regularly clashed with producers and executives, starting with her refusal to change her surname from ‘Smith’ to something, presumably more memorable to movie-going audiences. By the time her contract expired in 1953, she had undergone an abortion forced upon her by the studio, and the first of her three marriages was on the ropes. As the years went on and she failed to get the parts she felt were commensurate to her abilities, she began an embittered descent into a life of drugs and alcohol. In June 1955 Constance divorced Forbes upon charges of desertion. Forbes went on to marry fellow British actress, Nanette Newman, the same year. Constance last acted in a string of minor films made in Italy between 1955 and 1959, including a role as Lucretia Borgia in La congiura dei Borgia (1959). None of these did anything to resuscitate her failing career, and subsequently made her last film appearance in 1959. While in Italy she met and married the on of a Fascist Politician who referred to Constance as “the barefoot Irish peasant”. During her time in Rome in 1958, she first attempted suicide by overdosing on barbiturates. While in Italy she met the veteran producer Paul Rotha who was in the country planning a movie about the life of Mussolini. In 1960 she paid a visit to Limerick, with her producer and soon to be live-in boyfriend Paul Rotha. She was met with great fanfare and her visit is still remembered by some today. 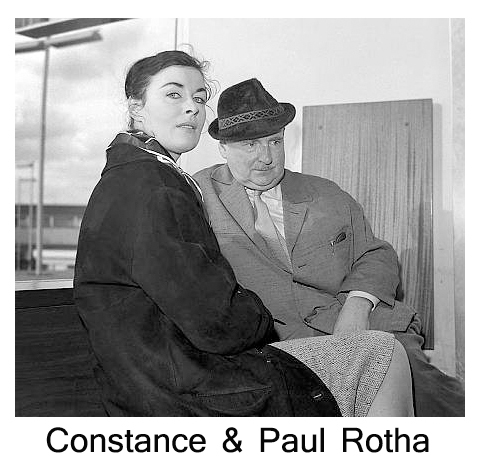 In 1960 Constance had moved to London with Paul Rotha,he was over twenty years her senior, and although she had left the silver screen behind her, she was still garnishing headlines. In 1962 Constance was sentenced to three months in prison for stabbing Rotha. On 4 February 1968, she stabbed Rotha for the second time and was charged with attempted murder. Paul Rotha dropped her to the prison and picked her up on her release. Oddly enough, Constance and Rotha later married in 1974. Paul Rotha died 7 March 1984, Wallingford, Oxfordshire. Constance Smith’s tumultuous life continued in a downward spiral. She tried several more times to kill herself and her last decades were spent dissipated and in and out of hospitals. When able to get herself together for brief periods, she worked as a cleaner. Constance died 30 June 2003 aged 75 , of natural causes but in obscurity in Islington, London. A sadder end is hard to imagine. Constance was cremated and her ashes were scattered in Rose Garden of the crematorium in London. 8 December 2013 a talk was given on the life of Constance Smith as part of the Richard Harris International Film Festival here is a short video of the display that was used as part of the talk.